If Ann Coulter and Jean-Paul Sartre wrote a play together, it might look something like DONALD, TED, AND MARCO. What happens when the leading lights of the Grand Old Party are trapped in a pocket dimension? Will they escape? Can they save a fractured party? There’s only one way to find out. DONALD, TED, AND MARCO was written in response to the captivating-as-a-car-wreck contest for the presidency and features three female actors in the titular roles. This hour-long, one-act play is by turns as funny, frightening, and infuriating as a presidential debate. DONALD, TED, AND MARCO, however, delivers what politics cannot: an ending. 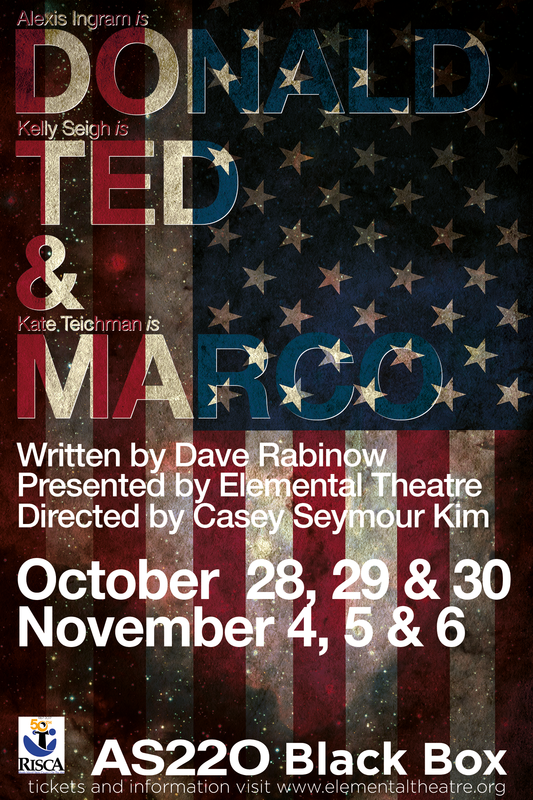 DONALD, TED, AND MARCO is funded in part by a grant from the Rhode Island State Council for the Arts.